In another time, another place, a young woman is surplus to requirements and so subject to elimination by a death squad. Yet she was given time till sundown to redeem herself – something gave her a second chance. This multi-award winning short by Dennis Peterson is hopefully to be made in to a feature film, so catch the original while you can! The song lyrics have never been truer. Oh You better watch out, You better not cry, You better not pout, I'm telling you why. 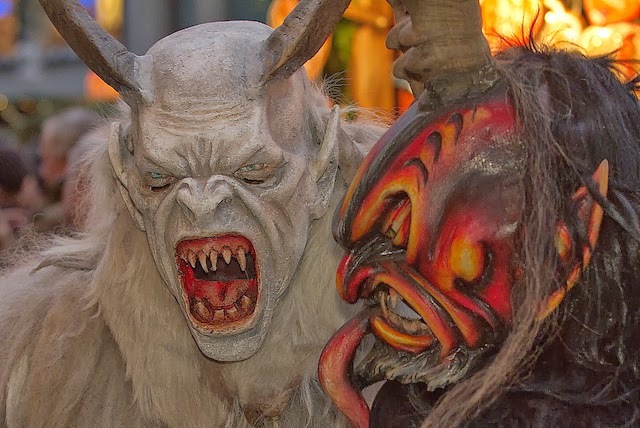 Yet it isn’t Santa Claus that you have to watch out for – it is his sinister and somewhat sadistic sidekick – Krampus. 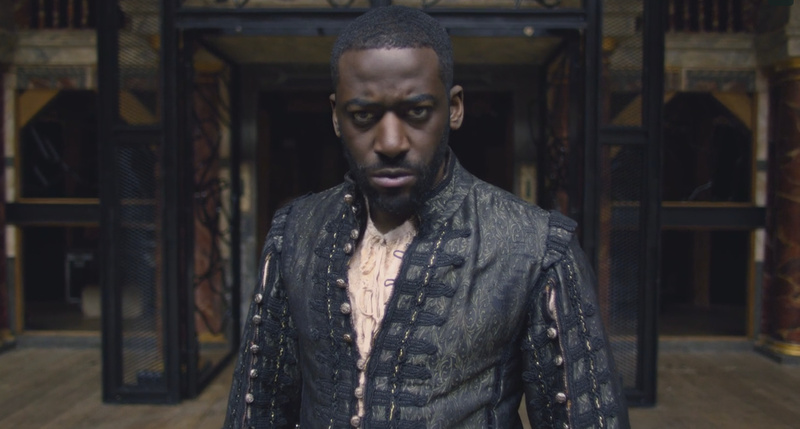 He has a whip – and he is going to use it. 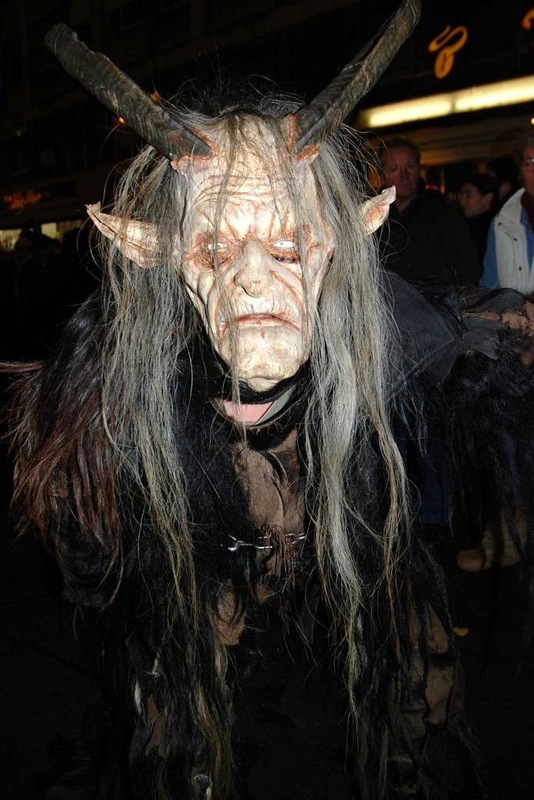 What on earth has this creature of the night – more orc than elf – to do with Christmas? If you have children you may well be aware of the mantra – if you don’t behave then Father Christmas won’t bring you anything. 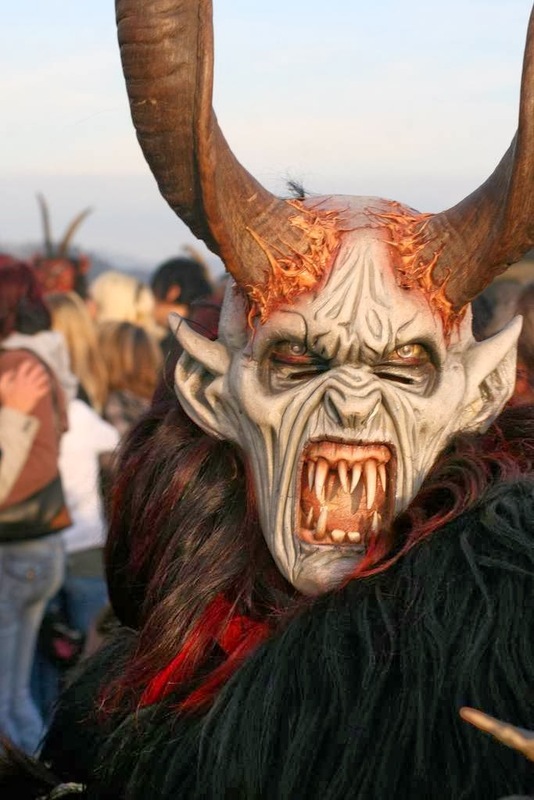 The idea behind Krampus is similar – only the threat is not that Santa won’t bring them anything but that Krampus will whip them in to the New Year. 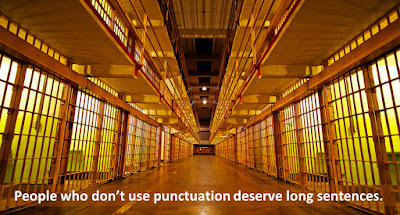 There have been a lot of grammar memes over the last ten years and when you see them on social media they are beginning to look their age. So, Teaching and Learning Resourcesfor Me on YouTube has decided to have a little fun (well, it’s Christmas, I guess) and has put 15 of the funniest in to a new video. 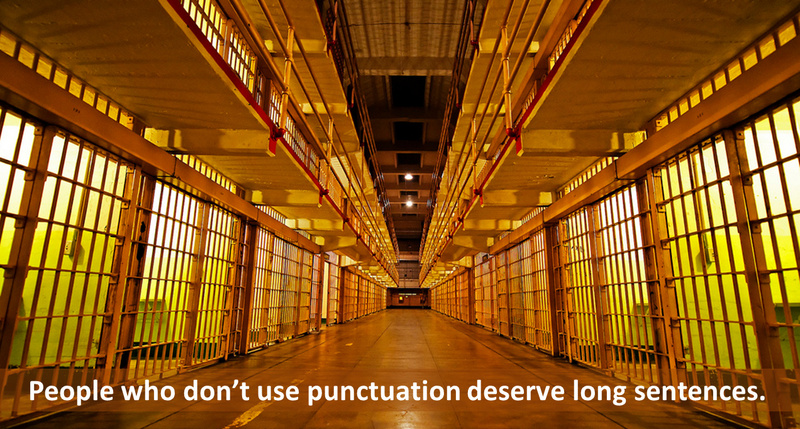 It may not completely satisfy your inner grammar nerd but it’s a start! You can decide for yourself whether the title of this post is ironic, sarcastic, both or neither. 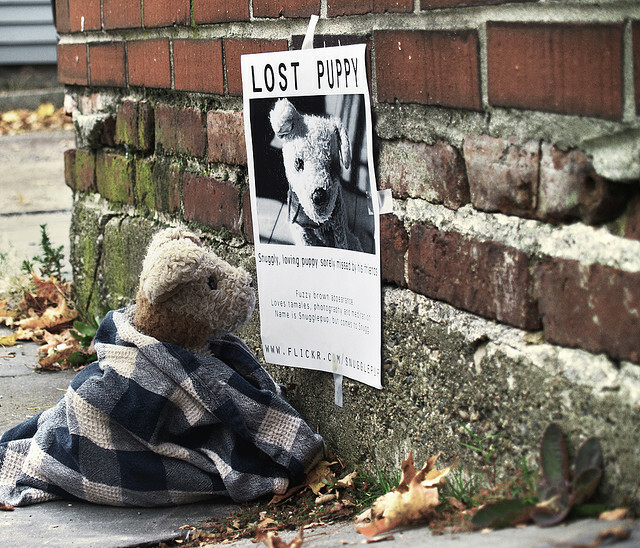 You have all seen them – you may have even appeared on one yourself – posters proclaiming the loss of a dear pet or relative. Although some disapprove of them for their intrusion on public space most would not dream of removing them in the hope that whatever was lost will be found. And then there are those who embrace them as a form of alternative art. 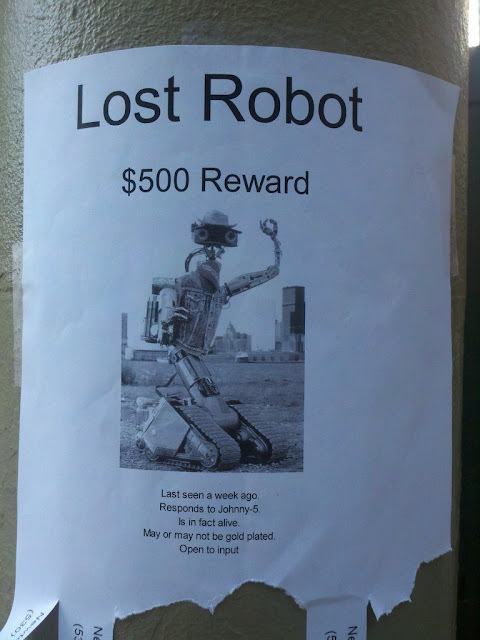 Their alternative lost posters amuse and irritate with, quite possible, equal measure. We prefer to see the funny side – and so here are some of the best on the net. 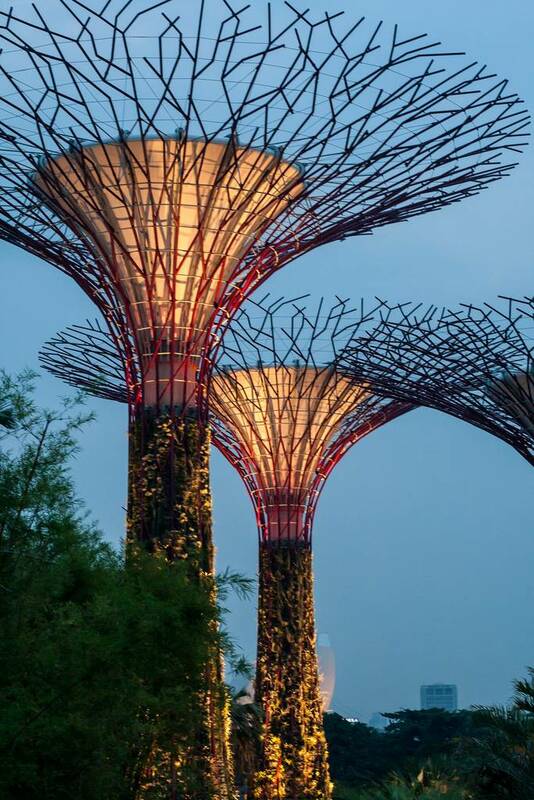 They look like a set from a forthcoming science fiction movie but these supertrees in Singapore are very much of this world. 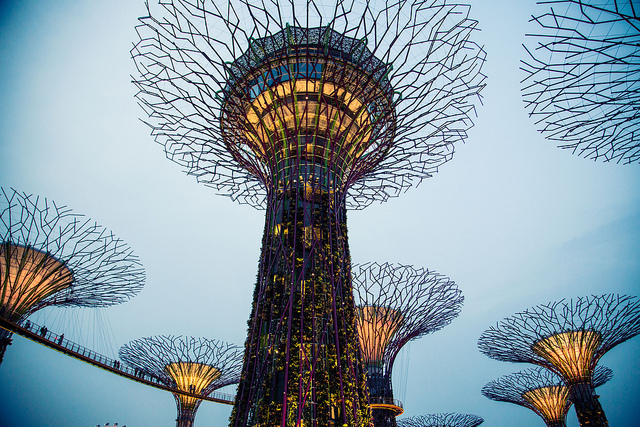 A collection of eighteen of these trees, varying in size from 80 to 160 feet (25 and 50 meters), creates an amazing backdrop for Singapore's central business district. What is more, they actually mimic real trees. Eleven of these immense structures are fitted with solar panels. The sunlight caught by these energies is converted in to energy which helps to run this thriving business center. They are part of an area known as Gardens by the Bay. Yet it will be many years before the energy they create recoup their initial cost. The entire garden, despite its energy-efficient and green credentials, not to mention its increasing reputation as a conservation area for rare plants, cost three quarters of a million US dollars to build. Over at the Ark in Space there is a terrific set of photographs of animals caught in the act of fighting. 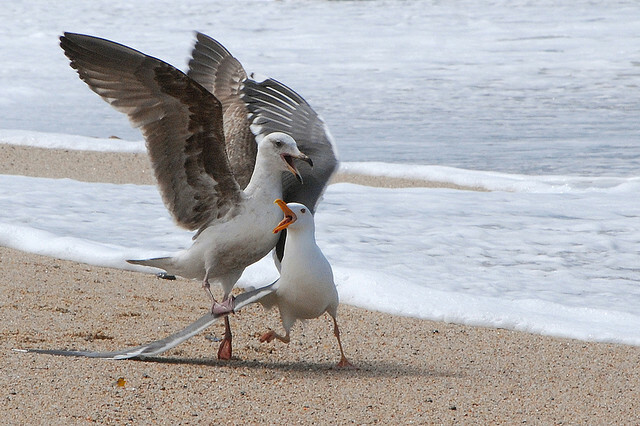 Some of these conflicts are simply play - but in others you can see a real tooth and claw (or beak and wing for that matter) struggle going on. Wild! 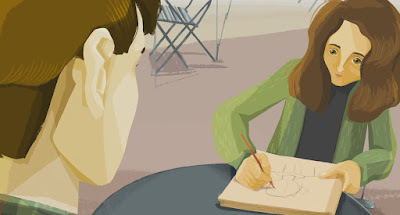 A stranger asks an artist to draw his portrait and the moment becomes pivotal to her life. This lovely animated short film explores, very simply, the idea that all that we see on the surface is perhaps of little importance to the profundity that lies beneath. 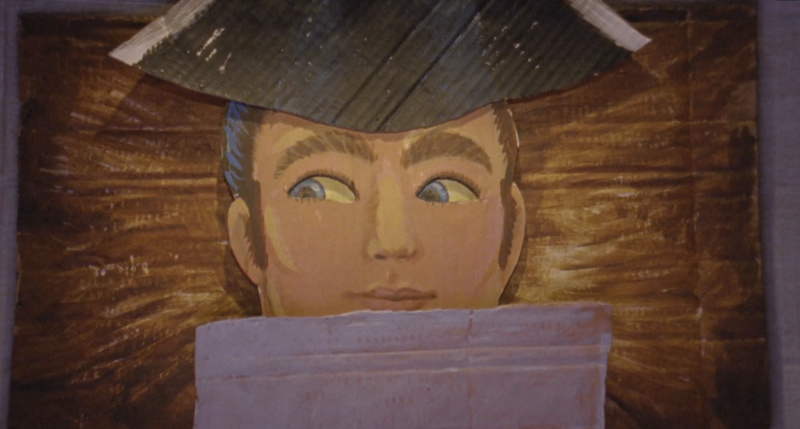 It is also beautifully animated. 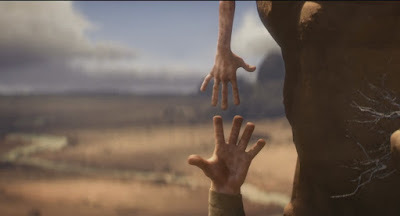 The Moment was Written, Directed, and Animated by Karis Oh. When Were Slot Machines Invented? Let’s face it, over the centuries people have created any number of ways to gamble. It is even said that Keno, an ancient form of lottery invented by the Chinese helped to fund the building of the Great Wall of China. Today we associate slot machines with online casino bonus software but their origin is not that much older (at least when we take the whole sweep of human history in to account!). Whenever you see a machine with three or more spinning reels operated by a single lever at the side then you are in the presence of a slot machine, variously known as fruit machine, the slots, or pokies depending where you are from in the English speaking world. The lever today is mostly gone from designs but a number of new machines keep it as a kind of homage to history. The precursor of the slot machine was developed in 1891 by Sittman and Pitt in New York. Although it proved very popular there was no direct payout mechanism – this was considered too complicated as it used five drums. If you won you had to show the proprietor of the bar and a prize would be given from a pre-written list. As the prizes depended on the proprietor they could vary enormously. What was needed was a simpler payment mechanism. This came about in 1895 when San Francisco based Charles Fey invented a system based on three spinning reels and five symbols: the Liberty Bell plus horseshoes, diamonds, spades and hearts. This simplified the complexity of reading a win which meant that payoffs could be made. The biggest was set if you managed to get three bells appearing in a row – the princely sum of 50 cents would be yours. Ironically, California banned what became known as the Liberty Bell but Fey found it hard to keep up with demand elsewhere! This is generally seen as the beginning of the mechanical gaming device industry. By the turn of the century Fey’s machines (and their copies) were all over the continental United States. 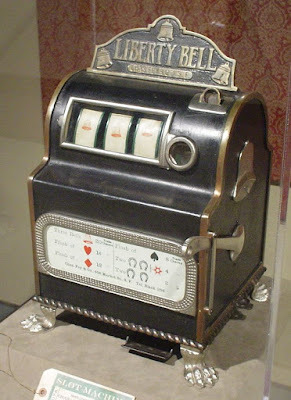 It would take until 1963 for Bally Manufacturing to develop the first fully elctromechanical slot machine. Known as the Money Honey it was the precursor of all electronic games which followed. The lever would become defunct (we could even say vestigial) with the advent of these machines. Fast-forward to today and the online games we play still echo these first machines. The internet would seem quite foreign to those people who played the Liberty Bell back in the 1890s but the overall concept remains the same. 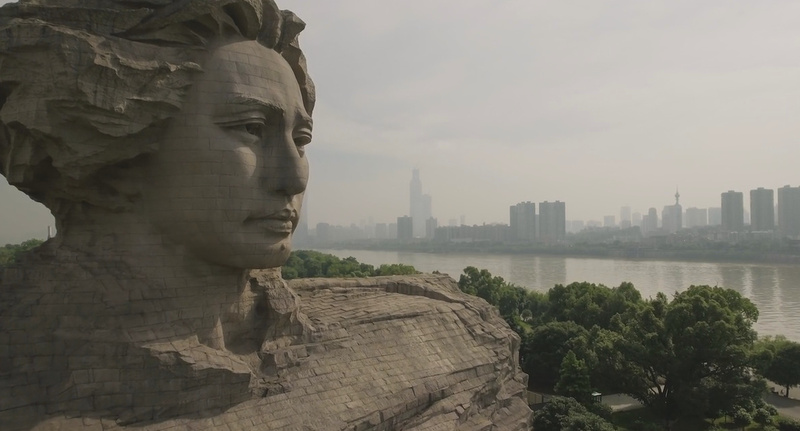 China from Above is, as you have probably guessed, drone footage. 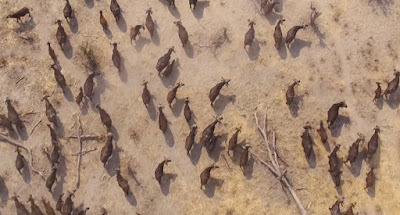 Using a DJI Phantom 4, traveling videographer Stef Hoffer has captured some truly awesome landscapes as he crossed the country. This video takes us from the northern 'rust belt provinces' to the beautiful mountain landscapes of national parks like Zhangjiajie (often named as an inspiration for the Avatar movie) and Jiuzhaigou. Sit back and take it all in and then, if it not there already, put China on to your list of places to visit! 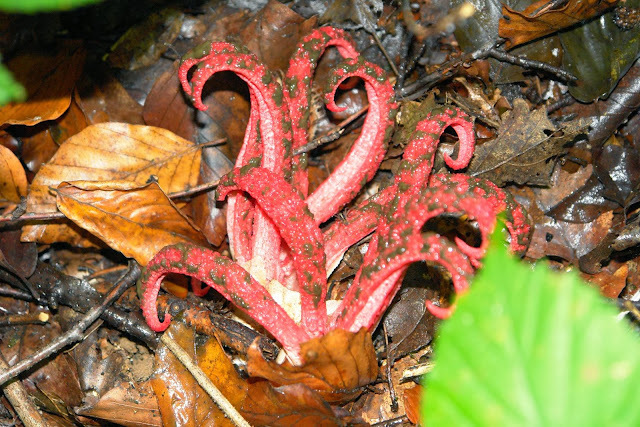 This is Clathrus archeri. Looking every inch the result of a GM experiment gone wrong, it resembles a strange cross between a toadstool and an octopus. Yet this is not the result of some subterranean gene-splicing enterprise to bring the world a spore-bearing cellaphod (for whatever reason that might be). 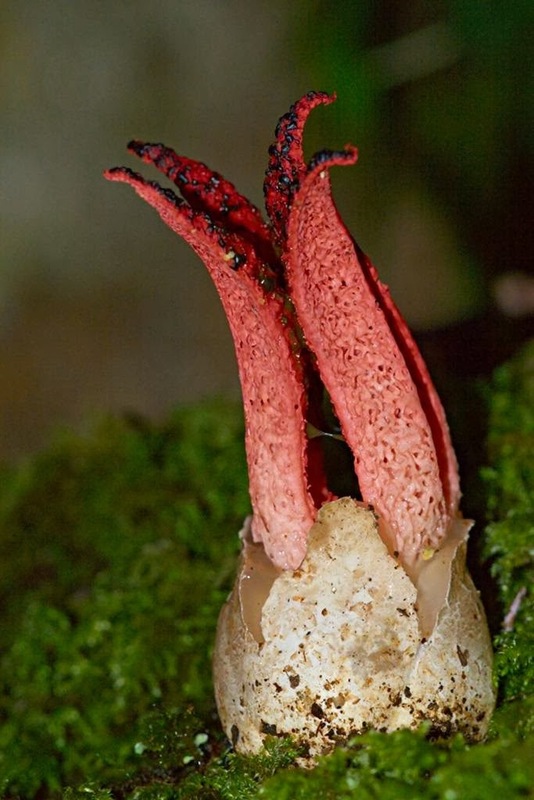 This is exactly how nature intended the Octopus Stinkhorn. The shape and form you see here is an integral but short-lived part of its life-cycle. I think this may have happened to me more than once. Ned is just a normal guy with one of those jobs that does not involve much imagination. However, that is not going to hold Ned back and one day something extraordinary happens to him. Perhaps. 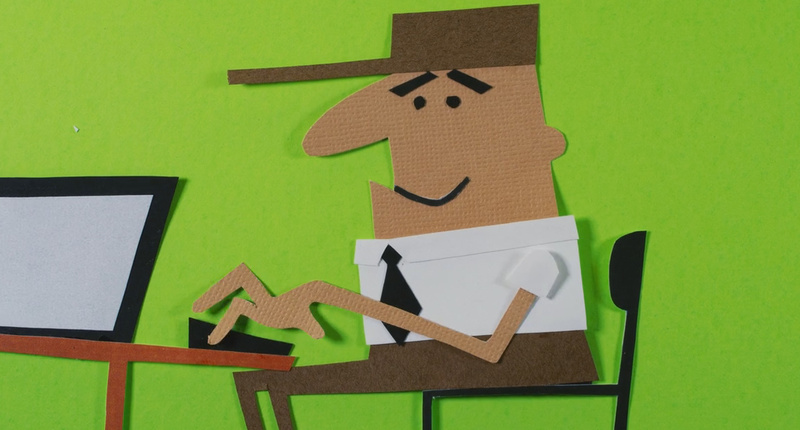 Directed and animated by Lisa and Brandon Ray, you may find a little bit of Ned in yourself. Some things simply make the eyebrows rise in an almost Vulcanesque involuntariness. Mr Spock would possibly have a few ironic words to say here but for simple joie de vivre there isn’t much that could beat this. German dance group DDD (Dancefloor Destruction Crew) go baths to their roots (at least costume wise) and perform a spectacular routine which may have your jaw on the floor as often as these young men have their legs in the air. They look as if they were taken on another planet, or at least on the set of a new and very expensive science fiction movie. 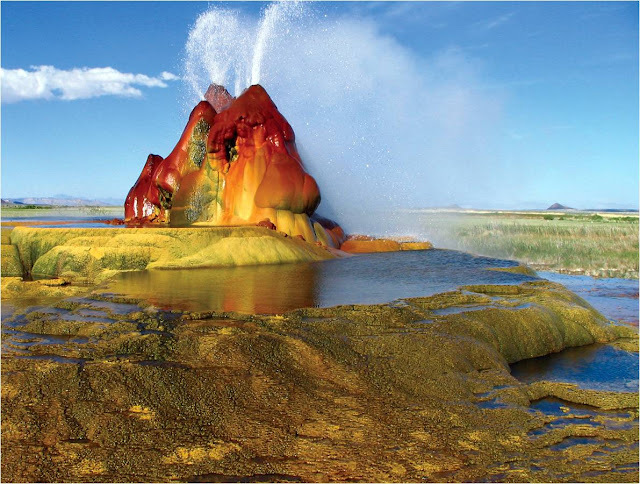 Yet these pictures are of the Fly Geyser which is very much of planet earth (Nevada, US to be exact). However – and herein lies the surprise – it is effectively man made. There are times when you just have to sit back and watch as things come together. This is one of them. Take one amazing track – All I Ask by Adele and add two superlative dancers in to the mix (in this case, Dj Smart and Zola Williams. Then sprinkle choreographer Will B Bell lightly and mix it with the talents of film-maker and editor Jose Omar Hernandez. You have the perfect recipe for just under four minutes of perfection. Truth be told I have always felt sorry for Madrid – what with Valencia and Barcelona also in Spain it is almost like being a woman with two younger, more beautiful sisters always around to remind you… My own personal opinion aside, we have featured a number of hyperlapse and timelapse videos by Kirill Neiezhmakov on Kuriositas in the past – and for one very good reason: his work is always superlative. 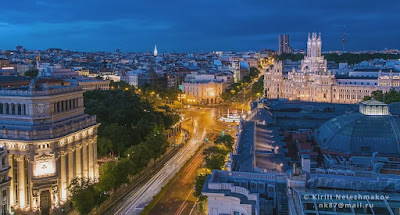 So, older sister Madrid, step out of the shadows in to the light! In 2034 there is a global water shortage and things are getting a little Darwinian to say the least. People are constantly thirsty and many go to extremes to ensure their survival. A young man and woman, lonesome water scavengers are forced, through circumstance, to work together. 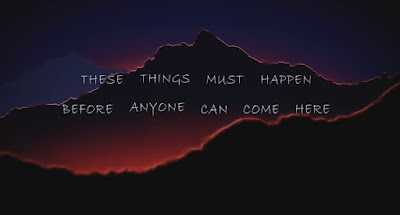 Yet is their coming together something more than pure accident? 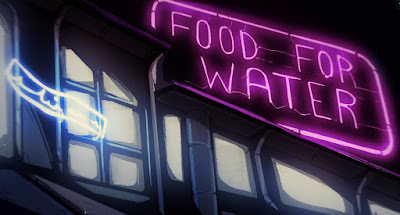 This dystopic animated short was created by Italian animation studio IBRIDO, written and directed by Salvatore Centoducati and Massimo Ottoni. Australia doesn’t have a reputation for producing fine novelists which is nonsense really. Even if you place just two in the frame, Peter Carey (author of the sublime Oscar and Lucinda) and Markus Zusak (who wrote The Book Thief, the last novel to reduce me to tears) then there is ample proof that the country punches above its weight when it comes to literary masters. As such it’s great to introduce you to another Australian author - Ben Peek whose new novel, Leviathan’s Blood, has just been published. It is part of a trilogy so there is plenty to explore in this new world. And what a world! Peek takes you to a place where the gods have died: their bodies have become the foundations of mountains. Among the corpses men and women live their lives but something is stirring in some. What made the gods divine is trickling in to the earth and infecting people. A curse or a gift, this has given them immense powers: some can see the dead, others are able to walk through fire. 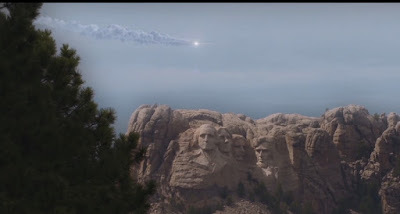 The earth itself can be shattered by their power. A new god arises and resolves to reclaim that which once belonged to her progenitors. 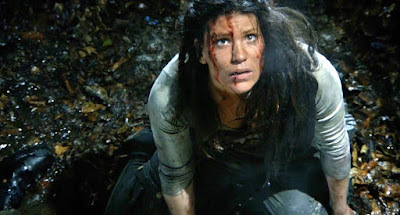 Add a former mercenary, a cartographer’s apprentice and a saboteur in to the mix, together with an ancient man who can communicate with the dead and you have what is arguably one of the best modern fantasies to come out in years. So if you want something epic and unputdownable (if that wasn’t a real word then it is now), take a peak at the teaser above or click here for more information. A new world awaits. It is partnership between man and animal which has lasted over a millennia. A fisherman needs to catch enough fish to sell and feed himself and his family. Sometimes that means that he needs an assistant. 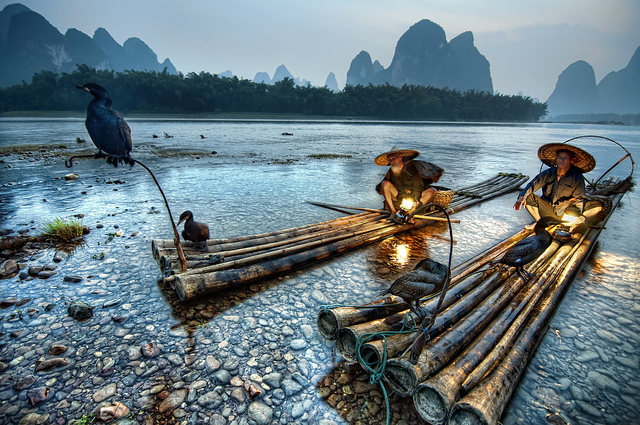 The Ark in Space takes a look at the fascinating relationship between the cormorant and the fishermen of China's inland rivers. 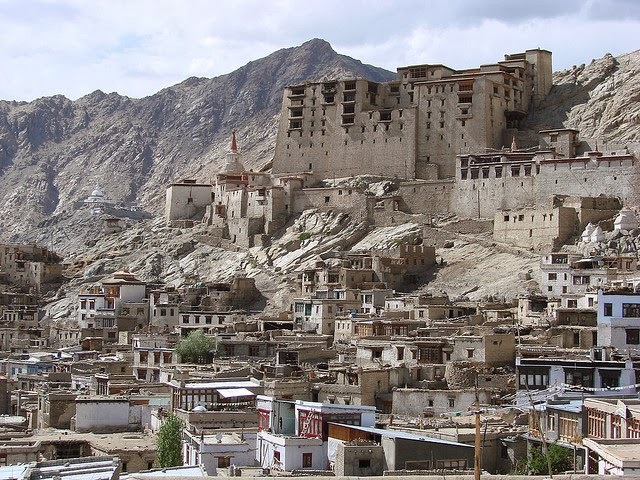 In the early years of the seventeenth century the Lion King of Ladakh, Sengge Namgyal ordered the construction of a great palace. 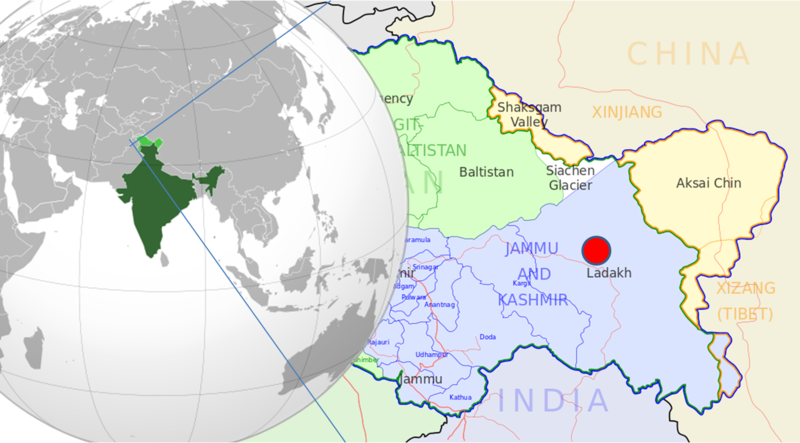 Situated atop the Himalayan city of Leh, now in the Indian state of Jammu and Kashmir, it was the home of his dynastic descendants until their overthrow and exile in 1834. 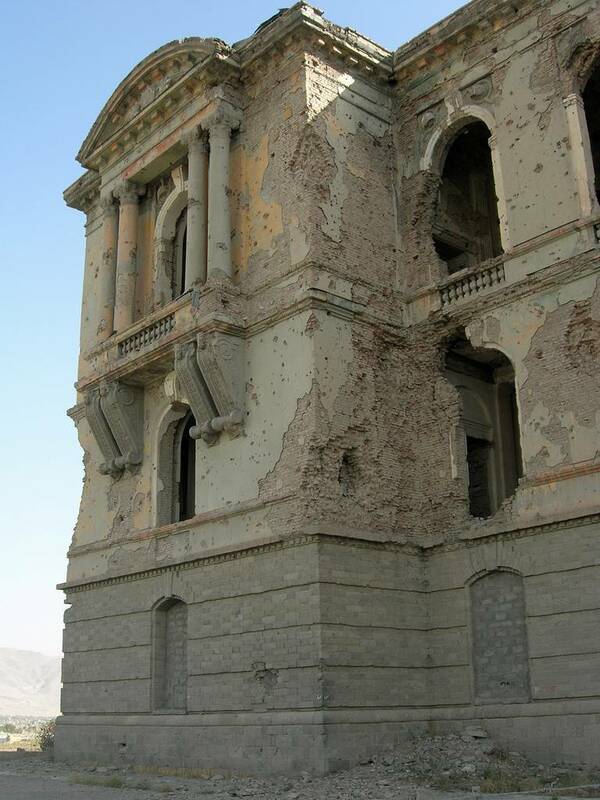 Once the world’s highest building, Leh Palace has been abandoned since then. Yet it remains a majestic presence in this area of India often referred to as Little Tibet. 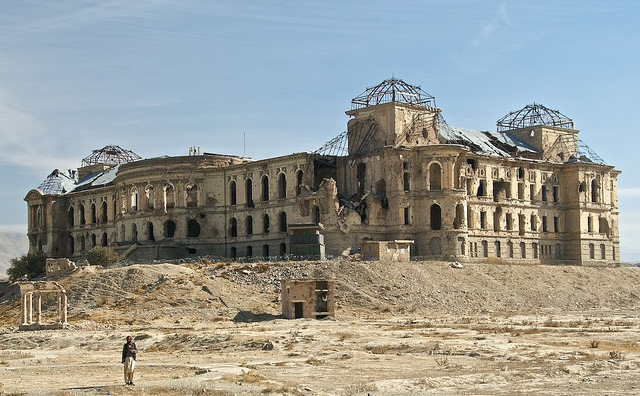 If it seems familiar that is because it is thought to be modelled on the more famous Potala Palace in neighboring Tibet which was the home of the Dalai Lama until his flight from the country in 1959. Some say that it is the other way around but the similarities are remarkable. 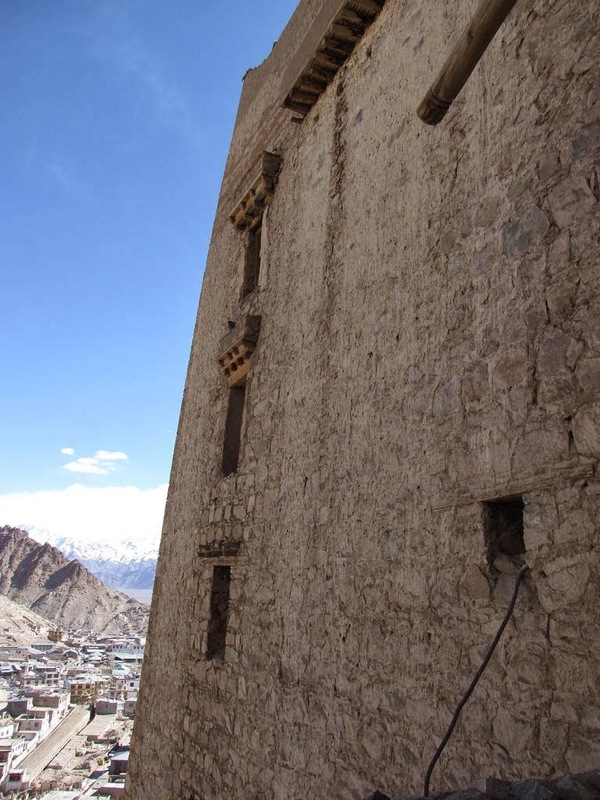 It is smaller than Potala but nevertheless Leh Palace is hugely impressive in its own right. Towering nine storeys high, its upper floors once echoed to the sounds of Namgyal royalty and their throngs of courtiers. 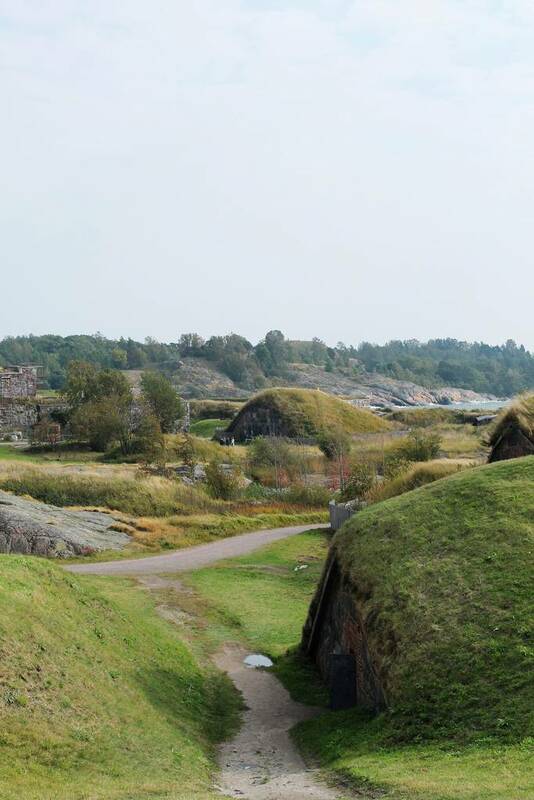 The lower floors were used for storage and to accommodate the precious horses of the army. 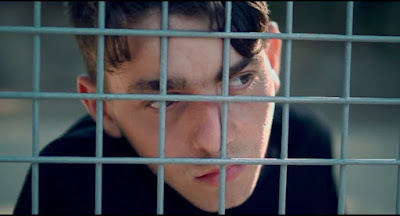 Si tu le veux translates as if you want it – and this remarkable short piece directed and edited by Grégoire Thiry, screenplay written by Lou Bruston and starring Nathan Cohen shows that you should not let things get in your way either particularly when it comes to self-expression. You may be surprised by the moves that Nathan is able to produce but their message is more profound that simply look what I can do – it’s a signal to us too to go out and excel at what we enjoy. As the end title says – if you want to dance, then dance. If you haven’t heard of Phoebe Boswell now is perhaps time to take note of this remarkable visual artist. 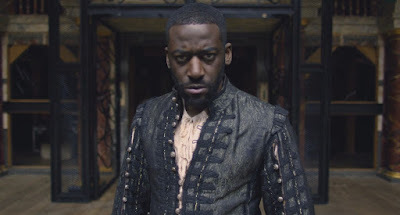 In this piece created by director Shola Amoo for The Guardian, she explores Shakespeare's intentions when writing Othello, analysing through poetry the play's racial themes in a historical and contemporary setting and drawing wider parallels between immigration and blackness in the UK today - with Ashley Thomas as Othello for good measure. It is rare these days, when so much information is thrust under our noses, that a simple statistic can stagger. This is one of those: over the next year over three million children will die from infectious diseases. That is over eight thousand a day – or 300 an hour. If it took you a minute to read this paragraph, then during that time five children will have died from disease. The greatest shame of it all is that often these diseases could have been prevented. 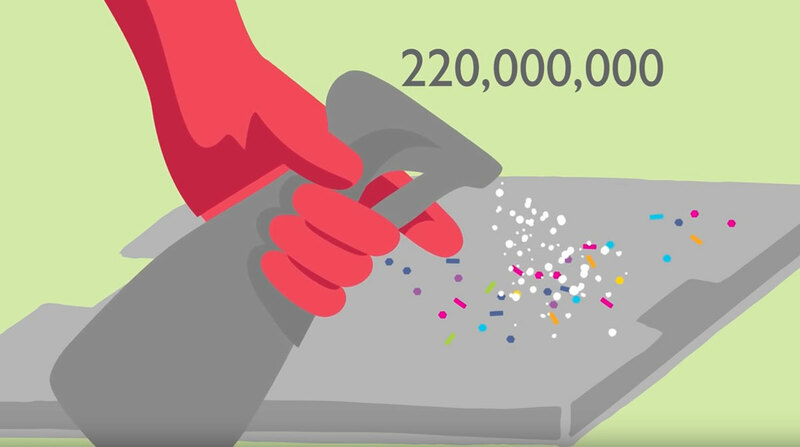 The Global Hygiene Council wants to change that – and the good news is that to reduce these appalling numbers is quite straightforward. The answer lies – as it invariably and inevitably does with most things – in education. Poor personal hygiene and home hygiene practices are widely recognised as the main causes of infection transmission for colds, influenza and diarrhoea. If people can be taught a few basics of hygiene then the Global Hygiene Council predicts that death can be avoided for many of those three million children. As such the council has released the video above which outline five ways that people can help to reduce disease. Although you might take each and every one of them for granted many people in the world are still unaware that these simple steps can help reduce child mortality. Please take a look and help pass the message on - #FiveStepsForBigChange. There have been any number of cases, over the centuries, of women donning male attire to join the armed forces. This song dates back to the 1840s and is sung here by Shirley Collins. The animation by Trunk is not quite what it seems to be – in as much as it’s not an animation! It was actually filmed in camera on real film with no edits. At times it involved 18 people moving sets and operating puppets, lights, clouds, hills and other elements in real time. The first evidence of hobbits goes back hundreds of years. 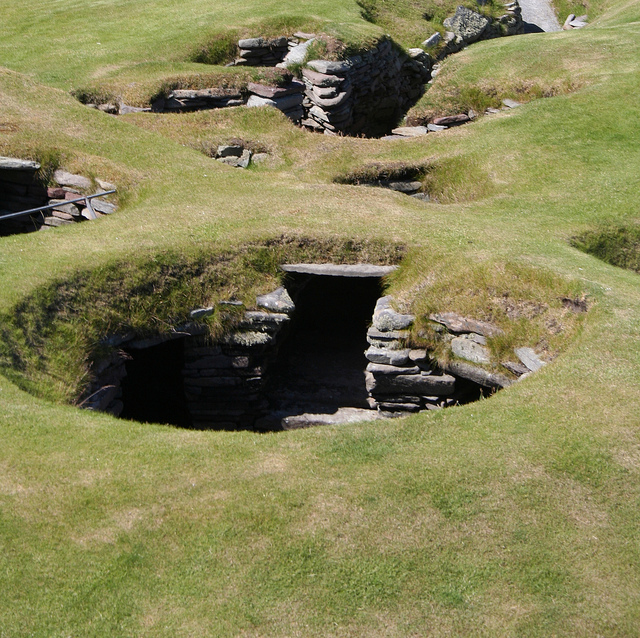 Sites in Scotland and Finland, to name but two, have shown that hobbits have been living among us for longer than anyone imagined. 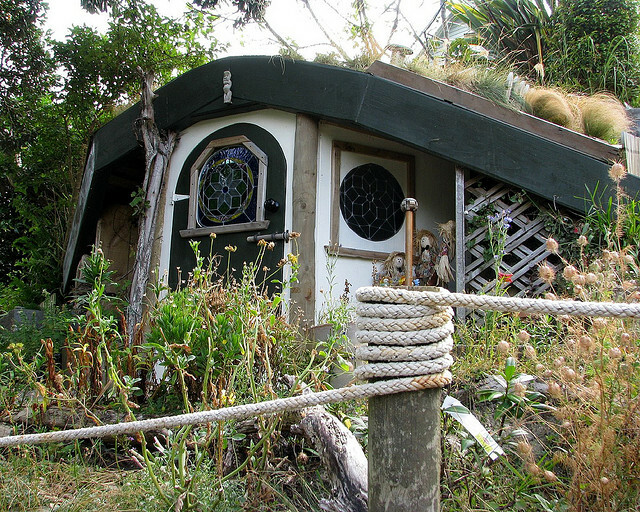 In exchange for our hospitality, the Hobbits have sworn to help us thrive. While you might argue that, globally, they cannot be doing too good a job of that, there are few hobbits to many millions of humans - so the scale of their assistance is not huge. Chinese food is one of the most popular ethnic cuisines in the UK and the US. This popularity is fairly easy to explain. Both countries have relatively large Chinese populations (about 5% of the non-white population in the UK, and 1.5% of the total US population). Chinese food is remarkably healthy, as has been shown by many studies, and it is among the more inexpensive types of restaurant fare. Chinese food is also remarkably easy to prepare at home. If you check the menus of the Chinese restaurants in your neighbourhood on Urban Spoon (Zomato) or Hungry House, you are likely to find some dishes, such as duck and quail and some fish dishes, which are not common in other restaurants, but in most cases those restaurants are serving westernised versions of the recipes. Part of the appeal of Chinese food is the unique combination of ingredients that complement one another and which often offer very pleasant contrasts. Traditional Chinese cooking also makes full use of the ingredients. This has resulted in some unusual preparations and cooking techniques, at least by western standards. With that in mind, here are some traditional Chinese dishes and cooking techniques. Chinese chefs believe that the meat near the bone is the best tasting. Therefore meat is often cut so that the bones shatter and end up in the dish; this is especially true if the meat is duck, chicken, or pork. This not only ensures that the best meat is in the dish, but also has the side benefit of releasing the marrow into the dish, which significantly adds to the taste. Finding a bit of bone in your dish is a mark of a traditional Chinese chef, not a sign of careless preparation. The “raw food” movement is one of the latest fads in the western world. Raw vegetables are an oddity in Chinas, where many foods westerners eat raw, such as lettuce and cucumber, are served pickled, fried, or boiled. Lotus roots and bamboo shoots are becoming fairly common in UK Chinese kitchens. With proper preparation both have a similar texture and taste to common lettuce. Chinese markets frequently have bitter melon, also called winter melon. 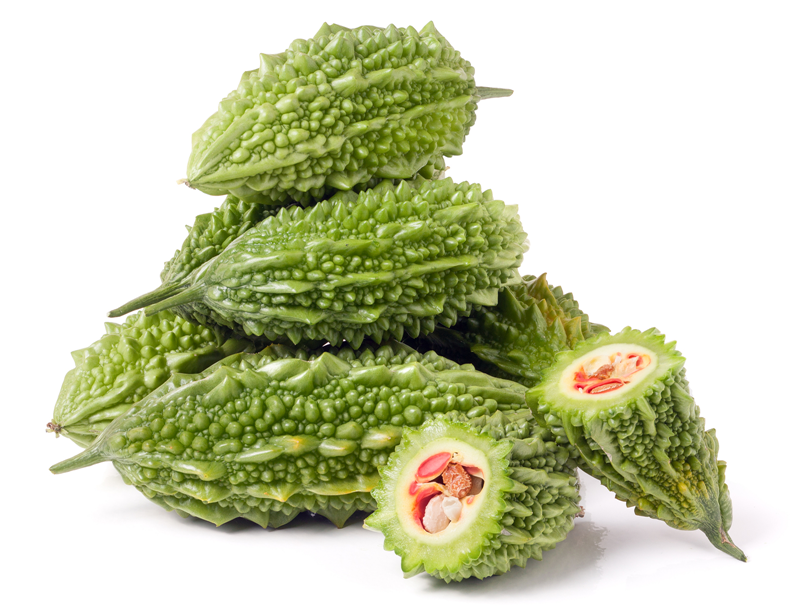 Bitter melon rarely finds its way onto mainstream Chinese restaurant menus due to its exceedingly bitter taste which can be overpowering. However, bitter melon does have its fans, most of whom have developed a taste for it over a period of time. One advantage of adding bitter melon to your diet is that it may have significant health advantages as it has been show to lower the blood glucose levels of diabetics and some researchers feel it may be an effective cancer fighter. Chinese cooking has a long history of preparing dishes that are totally foreign to the western way of thinking, however most are never found outside of mainland China. However, it is not uncommon to find heads, feet, and beaks on your plate in more traditional restaurants outside of China. That said, there are a few that are sometimes available and well worth sampling. Fried chicken feet are one example of how nothing goes to waste in Chinese cooking. Often served as starters, fried chicken feet are quite crisp and tasty. Many scientists have stated that one of the best ways to address the issue of world hunger and sustainability is by consuming insects, something the Chinese have practiced for centuries. 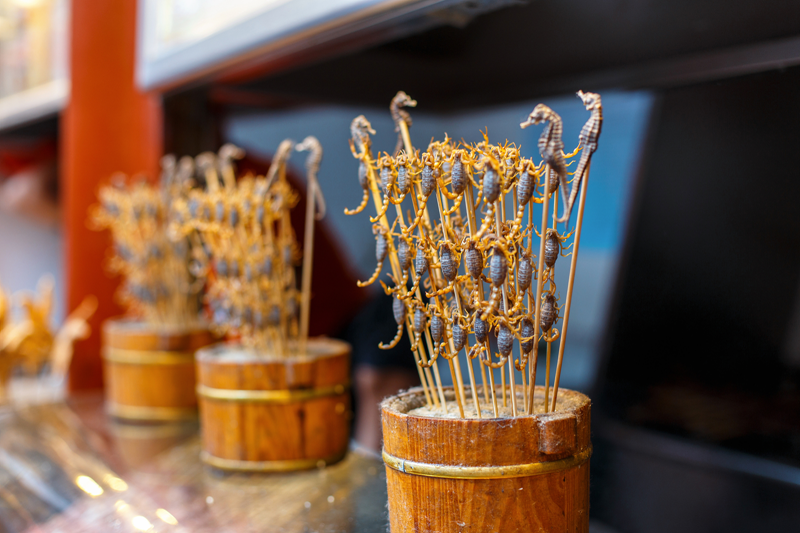 Scorpions, ants, and cicadas are among the insects that can frequently be found at Chinese markets and Chinese food festivals. Most are served deep-fried and have an unique but pleasant taste. Scorpions are served deep fried and all and are perfectly safe to eat as any poison is killed during the cooking process. Most insects have a sort of nutty taste, with the exception of ants, which surprisingly taste like limes. 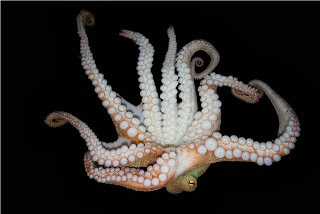 Practically everything found in the ocean has made its way onto the dinner plate in China. In all honesty the decision on whether to try them depends on your personal taste in seafood. One item that can be easily avoided is sea cucumbers, which are frequently sold in Chinese herb and medicine shops. Despite their unusual appearance, their taste is very bland. 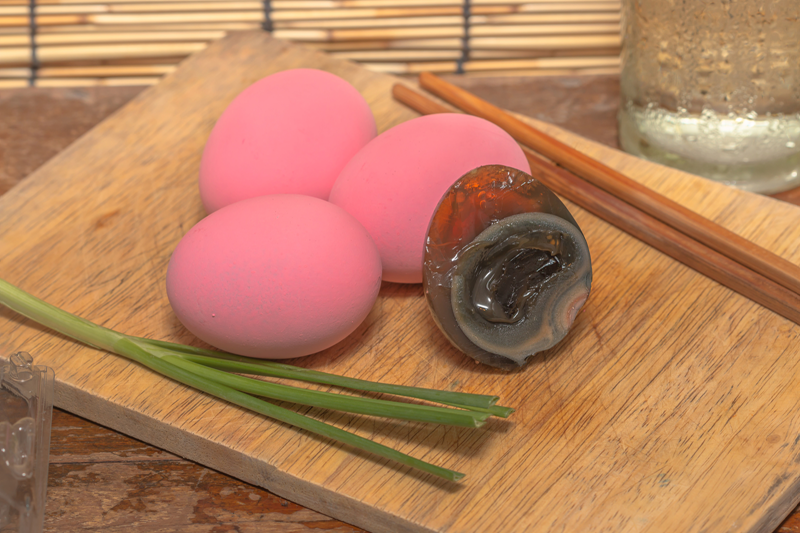 Thousand-year-old eggs are another item which can frequently be found in Chinese markets. Thousand-year-old eggs are actually only about 100 days old and are preserved duck eggs that have been coated with ash and salt that turn the whites a dark colour. Preserved eggs can be frequently found in soups or other dishes. They are a bit of an acquired taste and have a strong salty flavour. Exploring some of the more traditional Chinese foods is a great way to expand your culinary horizon, and many of the items (with the exception of preserved eggs) are amazingly easy to prepare at home. Brexit, Brexit, Brexit. You are probably sick of the word let alone when it's repeated three times like some sort of magical incantation. Of course we do have to consider the future and as far as most people are concerned, at the moment you may as well ask a fortune teller as much as a politician. Why? What happens next seems to be so up in the air then why not! Yet there is a place in England which seems to have a plan (as well as a pier) and that is, perhaps surprisingly to some, Wigan. In fact you can see it here. Zoltar the fortune teller’s lips are not moving which means that unlike politicians we cannot automatically tell whether he is lying. He sounds fairly convinced, however, that Wigan has not just a but the plan and if you look a little further in to this then it is difficult to argue with him. It’s all part of a rather clever marketing plan by Wigan Works, which was set up to attract investment and jobs to the borough, located in the Greater Manchester area of North West England. 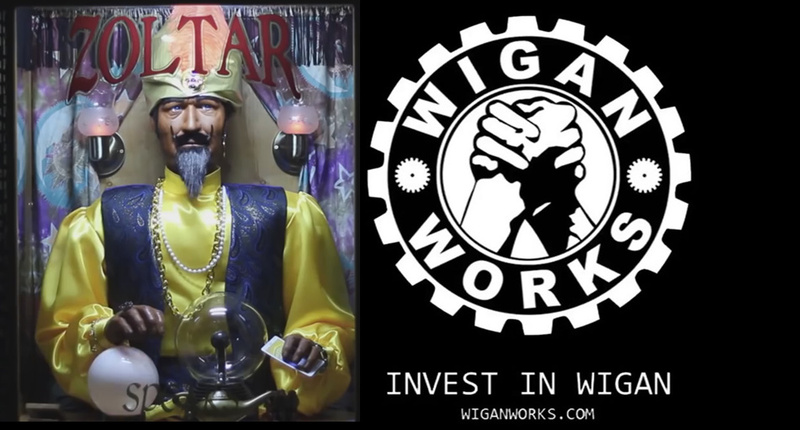 There is a new detailed investment framework to support inward investment and encourage new businesses, a number of which have chosen Wigan as their new base in recent months. Wigan certainly does have the plan. It is something of a relief, to be honest, to see a borough with so much get up and go. 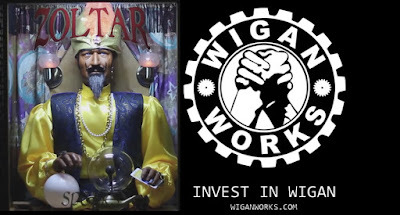 It seems that while the rest of the nation’s business leaders are looking on in slack-jawed bewilderment, Wigan is pushing itself forward: its jaw is most certainly not slack although there is a tongue poking firmly in to the borough’s metaphorical cheek in regards to the Zoltar method of disseminating their ambitions! A solitary dish washing robot living out his life in the back room of a restaurant is enlightened to the world that exists beyond his four walls, with the help of a small friend he breaks free of confinement to pursue his dream of exploration. 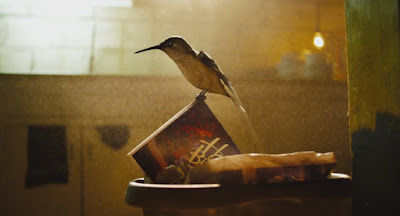 Hum was created for the junior year advanced production class in 2015 by a group of students at Chapman’s Dodge College of Film and Media Arts. The film was created over one semester (February 2015 – May 2015) with a budget of $2000. 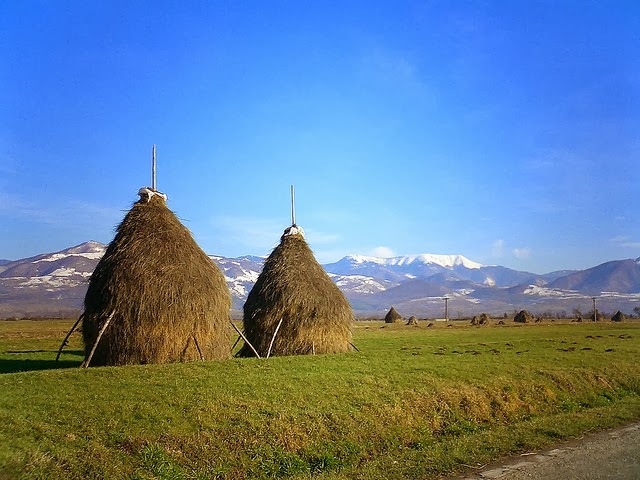 At this time of year the fields of the Romanian countryside are full of new haystacks. Over the centuries this particular method of haystack building has become more refined to the point where the haystacks of Romania have their own unique characteristics. 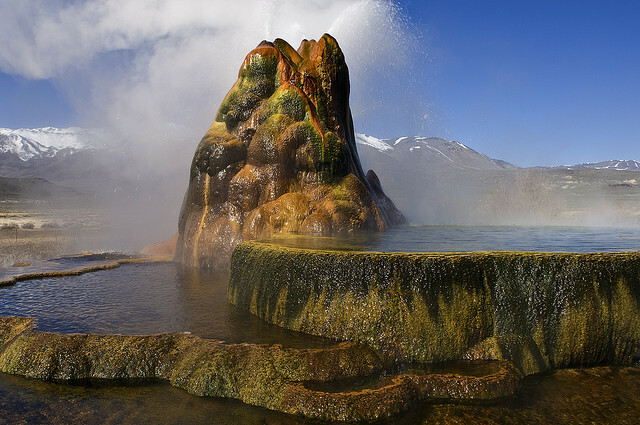 Haystacks like this are found nowhere else on earth. 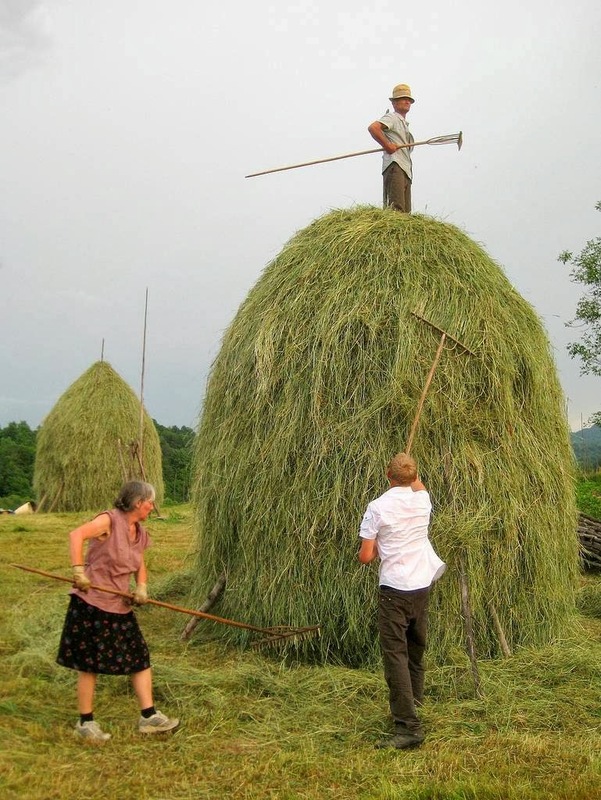 It is of absolute importance to get the haystack just right. In the past, without the extra food supply to see them through the cold Romanian winter, vital farm animals would have perished. If the haystack is compromised then disaster could strike. Great care, then, has always been taken in the construction of these stacks, some of which tower over four meters in height. We often read about people taking over the natural habitat of other species but today the Ark in Space tells the story of a rare case when the animals came back and reclaimed their territory from us. It happened in San Francisco - where admittedly stranger things may have happened over the years. Local Californian Sea Lions have always been present in the city’s bay but had been pushed out to Seal Rocks, a small formation at the north end of the Ocean Beach. 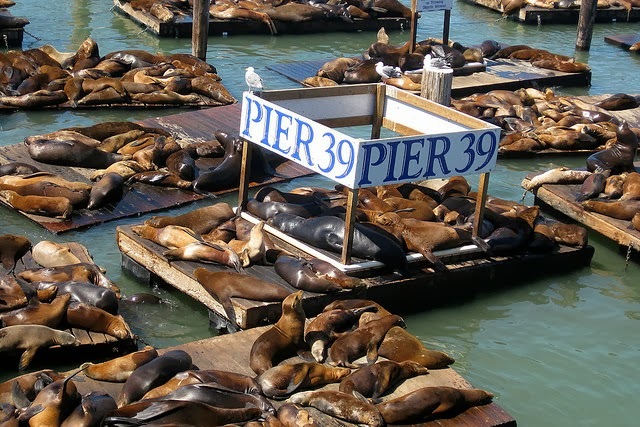 Pier 39’s K Dock was developed and opened in 1978. Little did we know that the sea lions also had their eyes on this particular piece of seaside real estate. 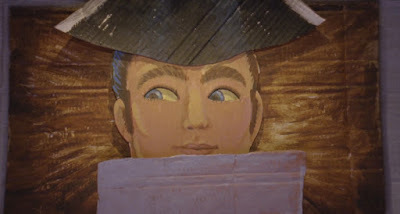 The Ark in Space has a great feature, packed with pictures, telling the history of these unusual squatters! Tyler Lyson is one of those very lucky people who has known since he was a small child exactly what he wanted to do and was born close to where he wanted to do it, the Hell Creek Formation. This is one of the most dinosaur bone-rich places in the world and where dinosaurs roamed when the big rock landed from the sky. MEL Films joins him on one of his annual ‘dino camp’ excursions where a triceratops skull, hidden for 160 million years, awaits discovery. A weathered Sheriff returns to the remains of an accident he has spent a lifetime trying to forget. With each step forward, the memories come flooding back. Faced with his mistake once again, he must find the strength to carry on. Borrowed Time is an animated short film, directed by Andrew Coats and Lou Hamou-Lhadj, and produced by Amanda Deering Jones. The music is by Academy Award winner Gustavo Santaolalla.